W. W. Norton & Company, 9780393330984, 167pp. Writers of memoir and narrative nonfiction are experiencing difficult days with the discovery that some well-known works in the genre contain exaggerations--or are partially fabricated. But what are the parameters of creative nonfiction? 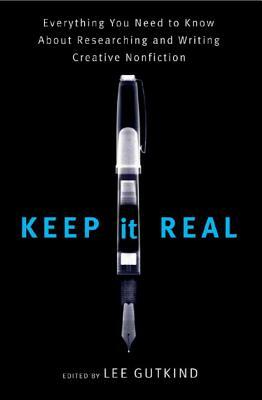 Keep It Real begins by defining creative nonfiction. Then it explores the flexibility of the form--the liberties and the boundaries that allow writers to be as truthful, factual, and artful as possible. A succinct but rich compendium of ideas, terms, and techniques, Keep It Real clarifies the ins and outs of writing creative nonfiction. Starting with acknowledgment of sources, running through fact-checking, metaphor, and navel gazing, and responsibilities to their subjects, this book provides all the information you need to write with verve while remaining true to your story.